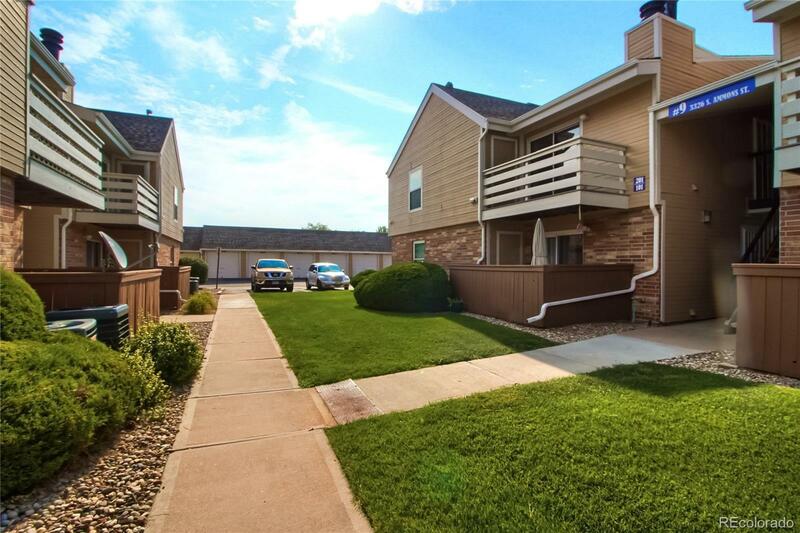 3326 South Ammons Street Lakewood, CO. | MLS# 3052511 | Assist-2-Sell, We Sell Colorado - An Experienced Team of Discount Realtors. Great top floor 2 bedroom 2 bathroom one level living. Excellent move-in condition. Open kitchen has granite counters. Dining area is adjacent to open kitchen. Living room has brick fireplace and opens onto balcony. Master bedroom is sizable with en-suite bathroom and a walk-in closet. Second bedroom is good size as well. Full hall bathroom. All appliances including washer and dryer stay. Includes detached garage #174 and reserved parking space #245. Low HOA fee of $193/month. Walk to restaurants, Natural Grocers, other shops, and a neighborhood park. Easily walk or ride bikes to miles of Bear Creek Park trails. Near many golf courses and fantastic open spaces. Great Jefferson County schools. Pool, hot tub, tennis courts are part of your community. Easy access everywhere via Wadsworth and HiWay 285 (Hampden). You'll love living here!